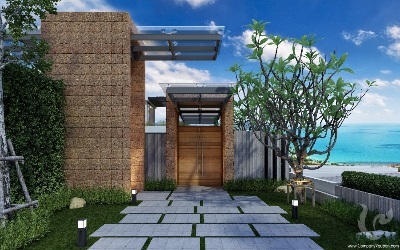 NARA VILLAS development is another successful project designed by the famous architect K. Bodin, winner of many awards for his architectural and design skills. 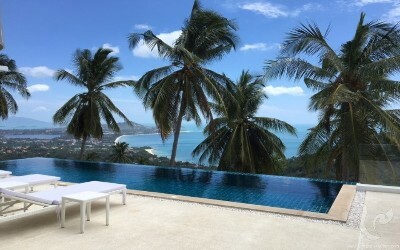 Nestled on the top of Chaweng Hills, affording unique sea views giving on Chaweng, Chaweng Noi, Choeng Mon and Big Buddha. 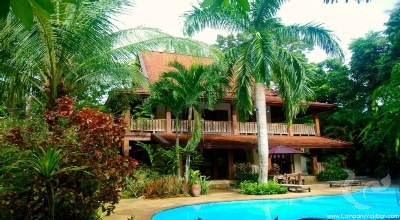 Surrounded by a green and serene scenery. 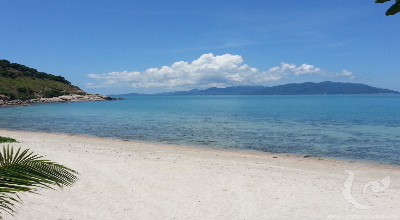 Only 1.5 Km takes you to the quiet beach of Chaweng Noi. 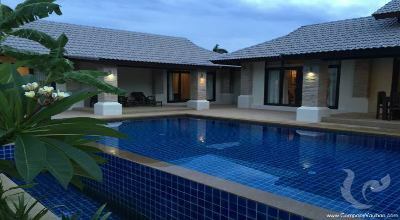 This location is quite convenient as the villas are only 5 min to Bangkok Hospital, 10 min to Chaweng center, 15 min to the airport and to Lamai walking street. 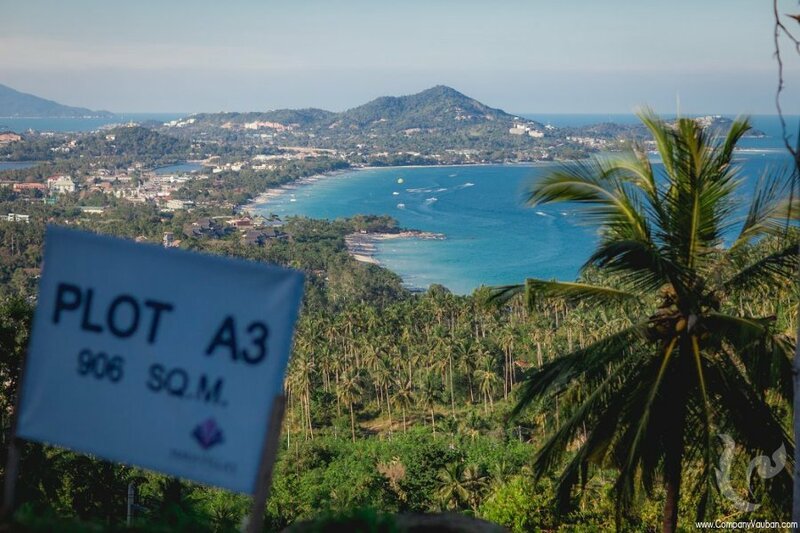 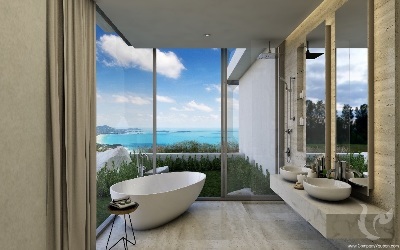 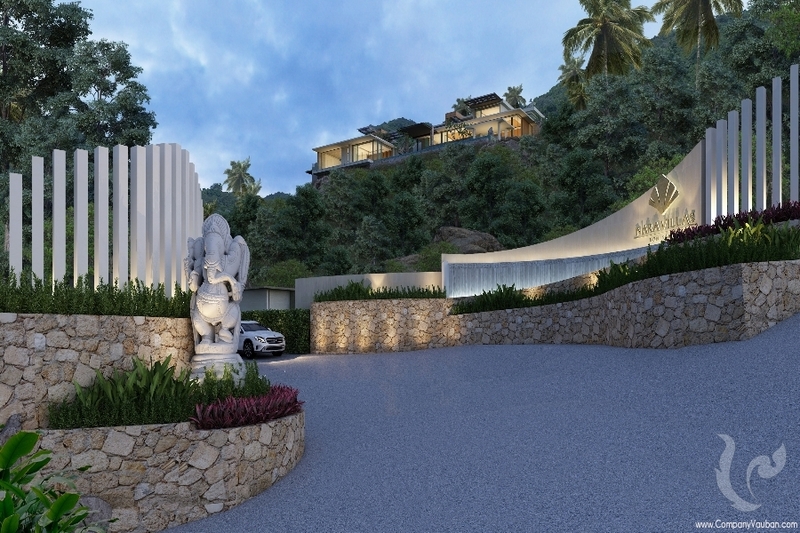 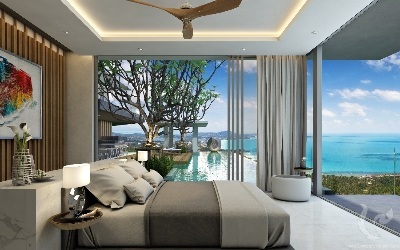 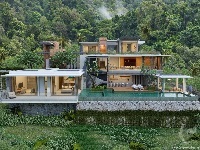 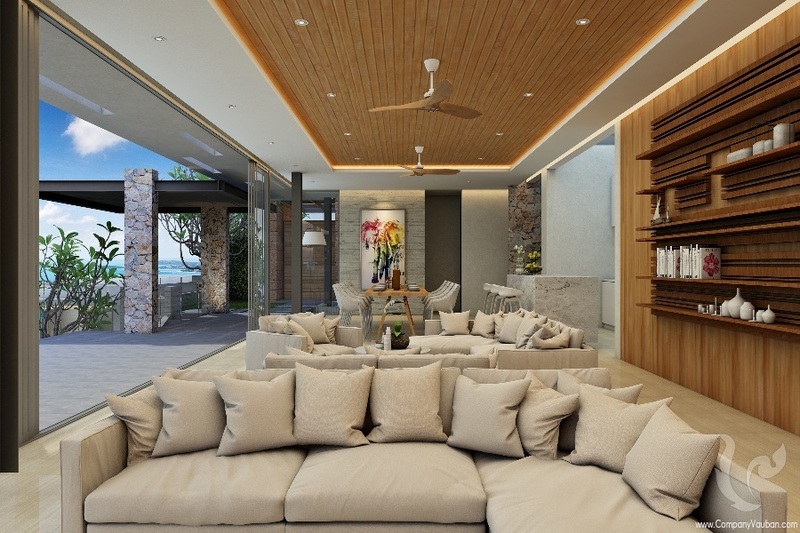 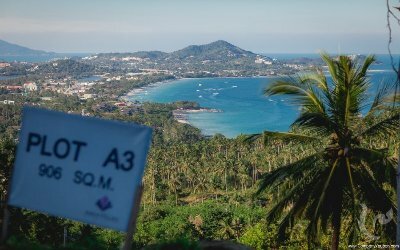 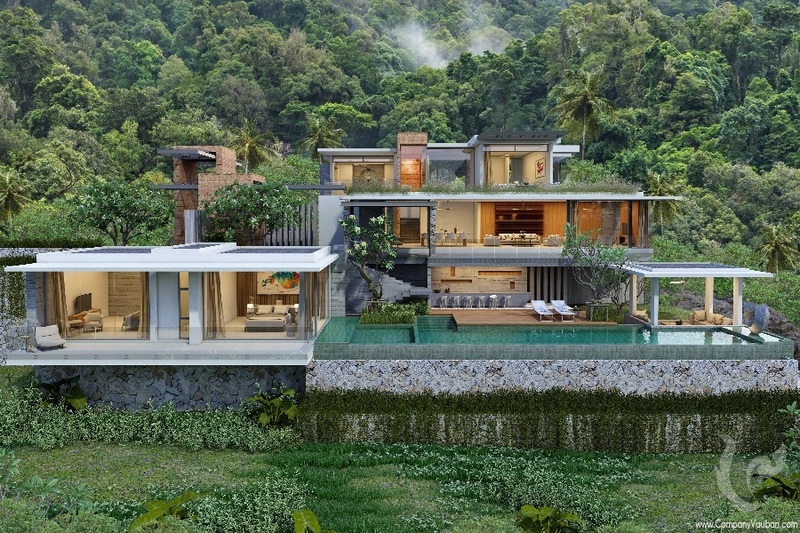 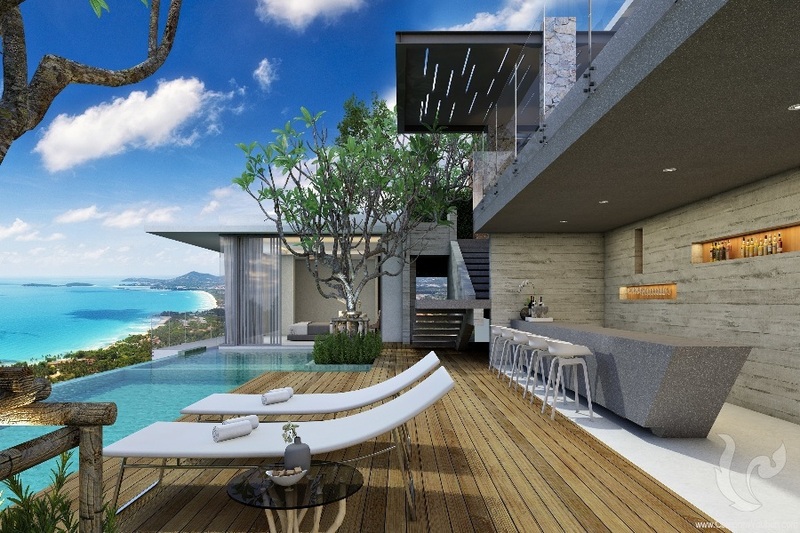 As for residents, the villas are only 800m to the well know Panyadee British International school, 10 min Jungle Samui school and to Chaweng's Tesco Lotus, Makro and Big C supermarkets. The luxurious and creative design follows the high standards of K Bodin team, high quality of construction and finition materials are used to conceive these beautiful pieces of achitectural art. 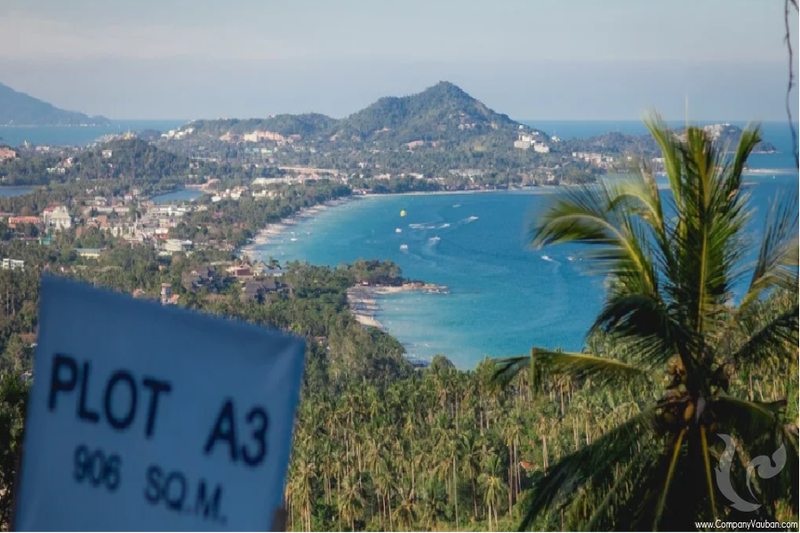 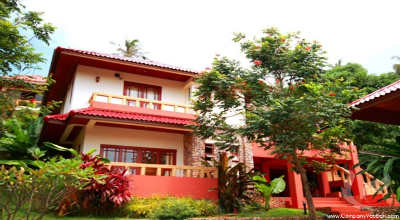 Managed by Nara Villa Management Company, residents and guests are provided a shuttle service from and to the airport and beach, a full service and assistance in procuring maid service, room service, chauffeur, baby sitter, in-house spa treatments, chef at home and more. 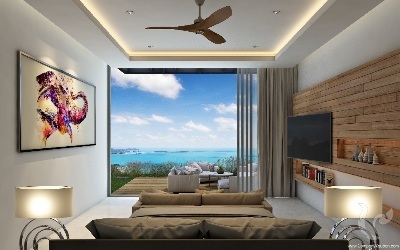 In addition, the management team will take care of bill payments for the owner’s accounts and handle all financial reports, leaving the owner in a peace of mind.
. Ceramic Floor tile in Living Floor.